Teaming up with Ben “B-Roc” Ruttner and James “JPatt” Patterson from The Knocks, a duo that puts their own spin on things by remixing tracks and developing new artists, singer/songwriter Samuel makes his way onto the scene with “I Heart NY,” the single fresh off his debut album Trains to Wanderland, set to be released at the end of the year. Growing up in New York City with musical talent coursing through his veins, being that his mother was also a singer his parents were very supportive of his career choice. With much experience in the music industry, it was no wonder mom was ready with plenty of advice for her 22-year-old son, when the time came that he decided to take his music more seriously. Getting kicked out of private school for being a rowdy kid and venturing on into public high school was a positive switch for Samuel as he started to become a part of bands. With not much song writing experience, he set out to assume the task after his latest band broke up and Samuel went to college to study english. As a way to keep the music alive, he would write music as a hobby on garage band, a song recording program on his computer. Samuel realized english wasn’t for him after taking a few music courses studying ethnomusicology at NYU. “It actually happened by accident; I didn’t ever plan on it. I’ve always thought about it and I’ve always loved music. Music has been a huge part of my family growing up. It was never a conscious decision. It was what I was working on at the time and I figured out I really enjoyed it. I just needed to find a way to do it professionally; a way to make a career out of it as opposed to just a hobby and then commit to that,” said Samuel about pursuing a career as a musician. 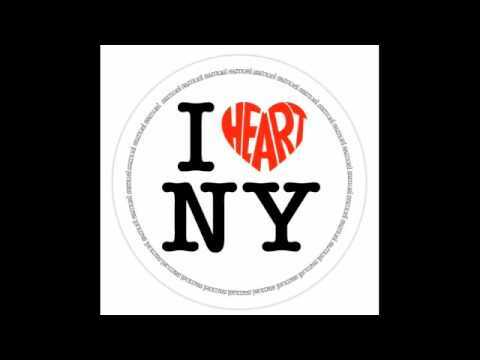 With the city as his backyard sparking an abundance of creativity, “I heart NY” was born with it’s old fashion radio style crackling intro and xylophone twinkling beat. After hearing the rhythm, Samuel knew exactly what he wanted to say. Being the first song he wrote with The Knocks, plenty of rewriting was done to get the ode to his home just right. “It’s suppose to be about New York and the way I see it and I hope the way other people see it. I know some people who have never been to New York say it has a reputation. It’s reminiscent of being young in New York and doing all the things you wanted to do when you were a kid,” he said. Knowing how to play the piano, you won’t catch him playing live unless you happen to hear Samuel’s demo work. Creating simple beats and lyrics on the piano from the comfort of his home, even though Samuel writes on his own, the songs are much stronger when musical forces are joined. Working on the album in the company of his best friends Ben and JPatt, made the experience more enjoyable to write with such hungry creative geniuses. Having a strong relationship with your producers and a connection of ideas makes the creative process flow smoother and quicker. Not only focusing on New York and his visits around the state, but incorporating snippets of places he’s traveled, such as the summer after high school he spent at Barcelona and the summers spent at Martha’s Vineyard during his childhood, Samuel takes you on a trip through his personal diary on his pop album, Trains to Wanderland. A cleverly well thought out title for the record is a twofer “Trains” being the first song Samuel played for The Knocks and Wanderland being the location within his memories where the songs take place. A lot of time was split among California and New York to write the album, having a tremendous impact on the songs and making the Cali stay quite difficult for this New Yorker who hasn’t gotten around to learning how to drive. “It’s a travel log of going away from New York and coming home and experiencing the world in such personal ways. Anybody could identify with leaving home and wanting to go back or finding a new place you love or remembering a place you’ve been to that you love and people you’ve met and experiences you’ve had. It’s descriptive of what I’ve gone through in my life, but also what I think other people go through. There are themes on it that reflect youngness and growing up and having responsibilities,” said Samuel. With high hopes and aspirations, this guy-next-door’s dreams are not so out of reach. “I hope to be playing lots of shows. I love performing and touring. That’s a huge joy of being able to make music is sharing it with people who don’t even know you and seeing people’s reactions. I love to write so writing with other people and collaborations and stuff like that I’d love to do. Hopefully just get out there and have people listen to my music,” he said.